International Talk Like a Pirate Day is celebrated annually on September 19th. It is a day where speaking pirate is not only acceptable, but encouraged. This detailed coin commemorates not only that special day, but can make every day a little more piratee as it sails from geocache to geocache! 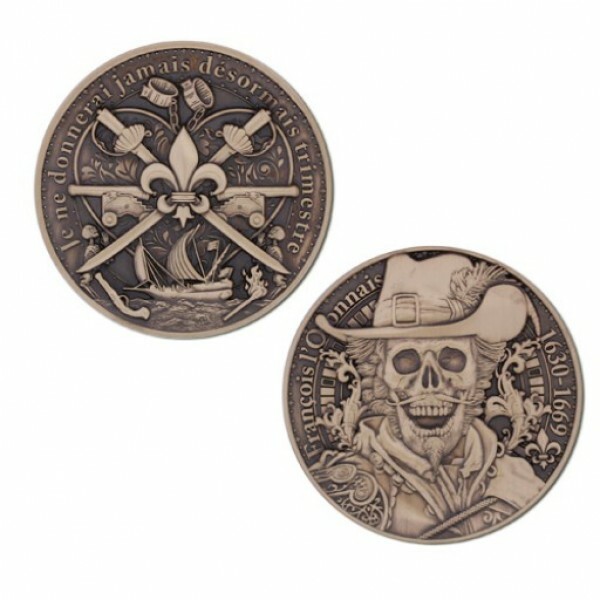 This coin was created as a Shop Geocaching exclusive by celebrated designer Christian A. Mackey. It measures approximately 2 inches in diameter and is trackable at Geocaching.com with a unique icon.